Linus Pauling Information: How Did Linus Pauling Miss the Discovery of DNA? 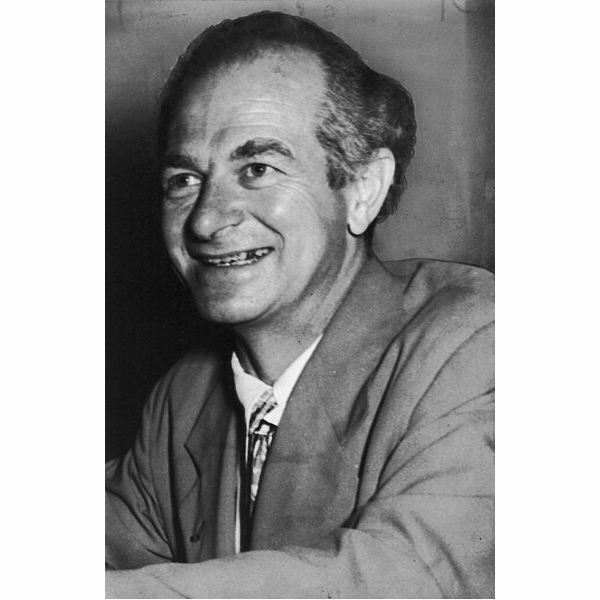 Why Did Linus Pauling Win the Nobel Prize? Pauling's career was full of accomplishments and achievements, but his most famous work was the series of papers he published with Robert Corey (1897-1971) in 1951 on the structure of proteins. This included the structure of the most important chain – the alpha helix chain. Pauling claims to have worked out the structure whilst nursing a bad cold. Bored of the science fiction and detective stories he was reading whilst holed up in bed, Pauling turned his powerful intellect to the structure of proteins, to try and find out how polypeptide chains are folded. He took a piece of paper and drew representations of polypeptide chains on it, and then he started to fold the paper along several parallel lines. Finally he found a way of folding such that when you looked at the drawings there was a hydrogen bond formed which held the helical structure together. Working out the structure of proteins was a pivotal moment in the history of biological sciences. It was the key to understanding biology at the molecular level and a catalyst for researchers wanting to find out the function of proteins in the body. For his work into the nature of the chemical bond, Pauling was awarded the Nobel Prize for Chemistry in 1954. He also won the Nobel Peace Prize in 1962 for his campaigning against nuclear testing. Pauling, like many scientists in the 1940s and '50s thought that the hereditary information was locked up in proteins and not DNA. Nucleic acids were seen as far too simple. So he went hunting in the wrong place. He later said of his thinking at this time, "I was so pleased with proteins, you know, that I thought that proteins probably are the hereditary material rather than nucleic acids-but that of course nucleic acids played a part. In whatever I wrote about nucleic acids, I mentioned nucleoproteins, and I was thinking more of the protein than of the nucleic acids." Though Crick and Watson were the eventual winners, there was a large cast of scientific characters involved in the discovery of the structure of the DNA double helix. Pauling was one of them. The methods he employed to work out the structure of proteins – a combination of model making, knowledge of chemistry and modern physics – were adopted by Crick and Watson. The co-discoverers of the structure of DNA were also concerned that Pauling might eventually hit upon the correct structure and this spurred on their research efforts. In 1953 Pauling published a paper proposing a three-helical structure for DNA. However, it was wrong. He didn't have any decent x-ray images, or accurate data, but pressed on nonetheless with the scant information that he had. Some would say that was a mistake. Crick and Watson had earlier published their own incorrect triple helical model in 1951. That Pauling did not work out the correct DNA structure himself is still a cause of some astonishment when put into context of his other achievements. Though this can of course be partly explained by his fixation on proteins. James Watson has another idea as to why Pauling failed in this quest. In a talk to students at the University of Carolina in 2003 he told the audience that it was because he was too smart. In fact so smart that he did not collaborate with others. "Because he was so smart he did not feel the need to talk to anybody, which hampered his ability to figure things out as fast as other scientists who worked together."